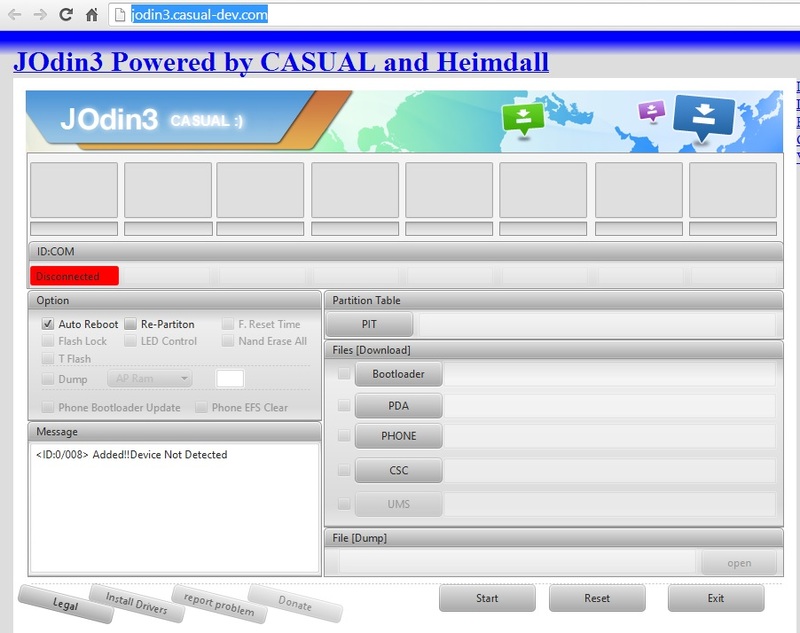 Most of the Samsung user know that to flash official rom on their device they have to download and run the ODIN tool on the desktop. Now they can do this directly from the browser with the helps of new JOdin3 app. With the help of this free web application you can flash any Samsung Firmware on Linux, Mac and Windows systems. All you have to go to the JOdin3 web site and browse the ROM directly from your desktop to start the flashing process. Thanks to XDA Senior Recognized Developer AdamOutler for releasing this wonderful app. The cross-platform Java-based tool allows you to perform many cool tasks like rooting, flashing stock ROMs and lots more directly form your browser, the best part of the application is that now any mac, linux or windows user will use this tool without downloading the app on desktop. To get started all you need a Java installed on your PC to flash the firmwares. Heimdall is also required, but it will be automatically downloaded and installed on Windows and MAC. Most of the Samsung users tested this app on their machines and posted the positive results in the XDA forum . As we mention all you have to visit the web application page from your favorite browser. Visit the JOdin3 web application page here and at the first time it will ask you to install the Java on your PC. Click OK to install the Java on your PC and you are ready to go to use the app. The web application works in the same manner you’d expect from the official Samsung Odin tool. All you have to connect you Samsung Device to the PC and browse the Firmware package from the Desktop or the rooting package to root you device. Once the files are selected on the application, hit the Start button to start the flash process to root process on your Samsung Android devices.